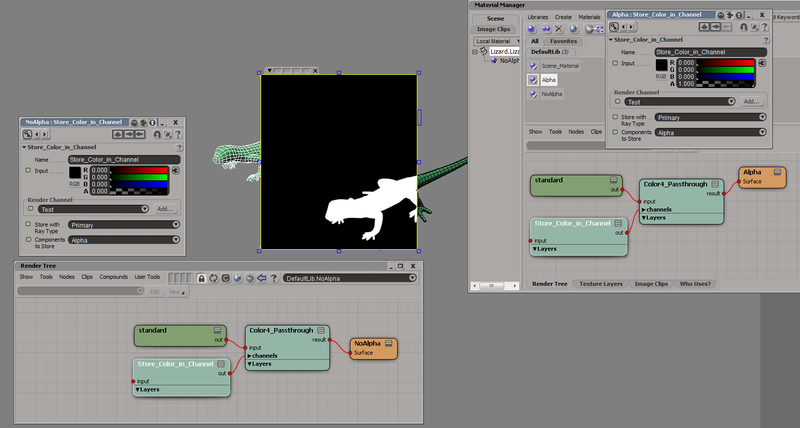 The Utility shader has an Object color mode that assigns colors to objects based on names. 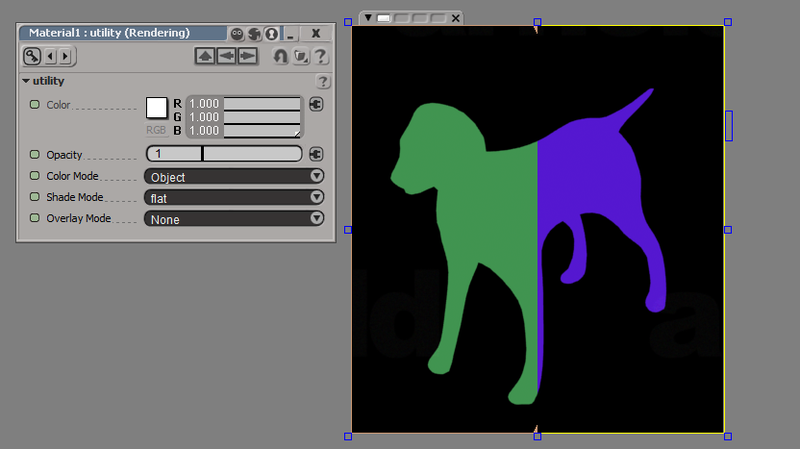 Each shape (for example, a polymesh shape or a curves shape or a box shape) gets a unique color, because each shape has a unique name. 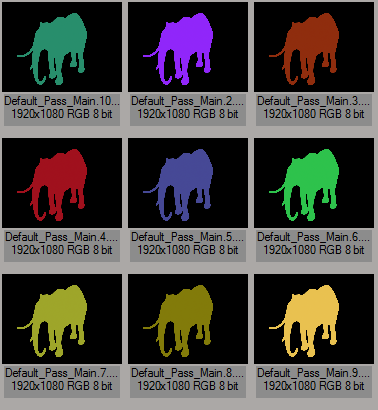 That’s because SItoA gives shapes names like Elephant.Elephant_Mesh.SItoA.4000, which change with every frame. 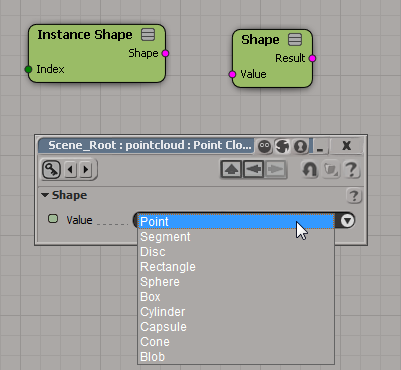 MtoA doesn’t use the current frame in shape node names, and neither does HtoA (by default). However, HtoA does provide an option for adding a suffix, like the frame number, to the shape node name. This particular node is for 54 points in sphere mode. For each point, you get the center position (the points.points parameter) and a radius (the points.radius parameter). If there’s any scaling applied to the particle in ICE, the radius is multiplied by the X scaling of the particle. For the Point shape, you get an Arnold points node in “disk” mode, with radius = size * X scaling. For the other supported shapes, you get the corresponding Arnold shape. SItoA translates ICE particle shapes to native Arnold shapes. The supported particle shapes are already documented here, but here’s a little more information about how they are translated. The Segment, Capsule, and Blob shapes are not supported. SItoA skips them and they are not translated into the Arnold scene source. To show you where the polygon mesh subdivision settings are in Softimage, I’m going to start in Arnold and work back into Softimage via SItoA. C:\solidangle\Arnold-4.1.3.3\bin&gt;kick -info polymesh | find "subdiv"
In Softimage, you access most of these subdivison parameters by adding an Arnold Parameters property to a polygon mesh (you can’t add new parameters to Softimage built-in objects like a PolygonMesh, so we have to use a custom property). 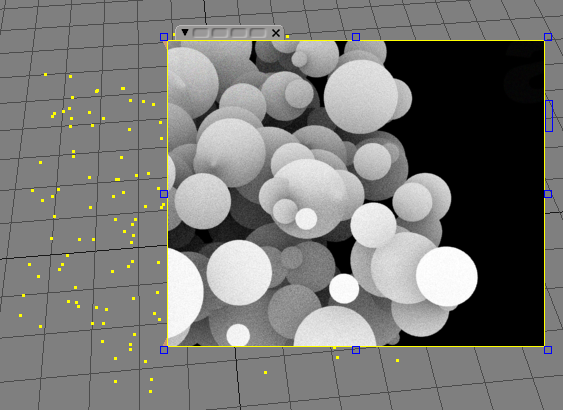 Texture Projection Property Editor. If Smooth when subdividing is enabled, then subdiv_uv_smoothing is set to pin_corners; otherwise, it’s set to linear. subdiv_type is mapped to the Subdivision Rule list in the Polygon Mesh property editor. Linear goes to linear, and anything else (XSI-Doo-Sabin, Catmull-Clark) goes to catclark. Finally, subdiv_dicing_camera is on the Subdivision tab of the global Render Settings. That’s because addons like SItoA install custom preferences, which are left behind when you uninstall the addon. At startup, Softimage finds the custom preference but can’t find the plugin that owns the preference (because it’s been uninstalled). To get rid of this error, go to your Softimage user folder, and delete the Data\Preferences\Arnold Render.preset file.